NYFW outfits September 2017 — Bon Au Petite! I'm wearing: Tibi Top and Skirt, Paul Andrew Boots, Givenchy Bag, All the Blues Egg White Earring, Celine Sunglasses. I'm wearing: Balenciaga Blazer, Vetements Boots, Givenchy Bag, Celine Glasses. I'm wearing: Claudia Li Coat, Lautem Bag, Yuul Yie Shoes, Andres Gallardo Earrings, Zara Sunglases. 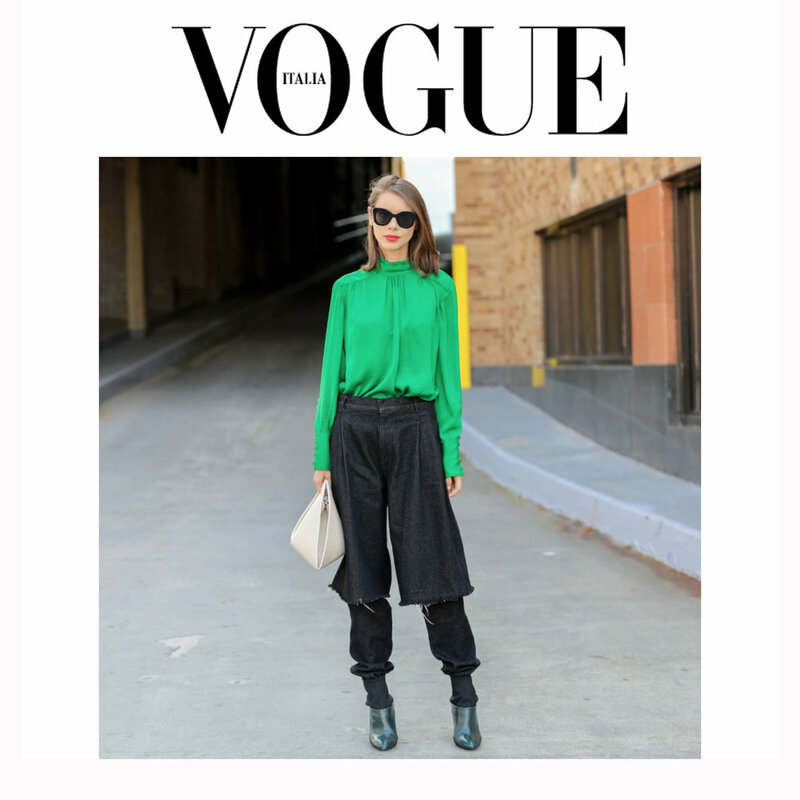 I'm wearing: Tibi Pants and Top, Kat Maconie Shoes, Celine Glasses.